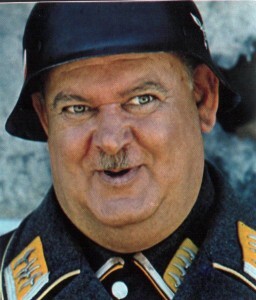 One of my favorite TV shows of all times was Hogan's Heroes, and my favorite character of course was Sergeant Schultz. The sitcom ran for 168 episodes from September 17, 1965, to July 4, 1971, on CBS and was set in a German prisoner of war (POW) camp during World War II. Most episodes served to show how "crafty" the allies were, while the Germans were always bumbling idiots. Now you might be wondering what the heck this has to do with the Tallahassee real estate market and specifically what (NOT) to do when you plan on selling a home, so I'll let the famous words of Sergeant Schultz be our guide. Most people seem to take the same position as Sergeant Schultz when they decide to sell a home. They really don't want to think about it and they are happy when somebody tells them they will do it. The video below is only 3 seconds long, but trust me, it is spot on. A report of home sellers conducted by the National Association of REALTORS showed that 64% of home sellers hire the first real estate agent that they talk to about getting their home sold. This is a statistic that always blows my mind. The average sales price of a home in the US is right around $150,000. That means the average home seller is going to spend $9,000 with the real estate agent they choose to sell their home. For those people selling homes at the higher end of the market, they very well could be approving listing agreements that will end up costing them $40,000 or more. What do they get for that kind of money? Market Knowledge - If you want to get the top dollar for your home, then you need to know it's market value. Not an appraised value, rather a value that will attract multiple buyers to your home. The only way to do this is with a vigorous analysis of supply and demand for homes similar to yours, and if you're spending the big money for a listing agent, you should demand a thorough analysis. A Proven Home Selling Process - At a minimum, I would recommend you find out how many homes have been listed and sold by the real estate company you are hiring (that's right, not agent ... company). Do they have a high rate of success, or do they often times list properties that fail to sell. Do you really want to expose your home to the market for a period of time without having it sell? That does nothing good for your value optimization. Highly Trained Negotiator(s) - My company practices, drills, and rehearses negotiation techniques on a regular basis. Why? Because it is the most important service that we provide for both buyers and sellers alike. The money you spend on a listing agent is often less than the money you lose due to poor negotiation skills. That $9000 can quickly become $20000 when you hire your part-time real estate agent buddy who really hasn't done this recently. Take these three topics to heart when you decide to sell your home. Google "Tallahassee real estate" or "Yourtown real estate" and other key search terms to find the top local real estate agents. Plan to interview several until you find one that blows you away. Remember, this is an expensive service, so demand top-notch performance. If you have recently tried to sell your home and did not succeed, I recommend you read our free e-Book for frustrated home sellers. It contains more than 50 pages of what to do when your hire your next real estate agent and what they need to do to get top dollar for your home. And if we can answer questions or help you in any way before you choose your listing agent, please drop me a note and we'll reply as fast as humanly possible.